it in a puff paste. It ought to be quite firm. Sauce for any boiled puddings. 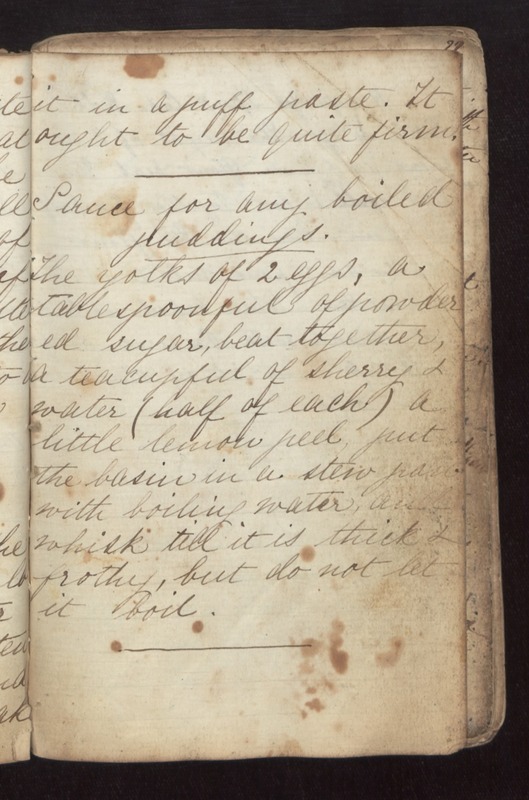 The yolks of 2 eggs, a tablespoonful of powdered sugar, beat together, a teacupful of sherry & water (half of each) a little lemon peel, put the basin in a stew pan with boiling water, and whisk till it is thick & frothy, but do not let it boil.